Australia is home to many of the world’s most venomous snakes, spiders and marine animals, and Seqirus is the world’s sole producer of antivenoms for Australia’s most venomous creatures; a community service it began in the 1930s. 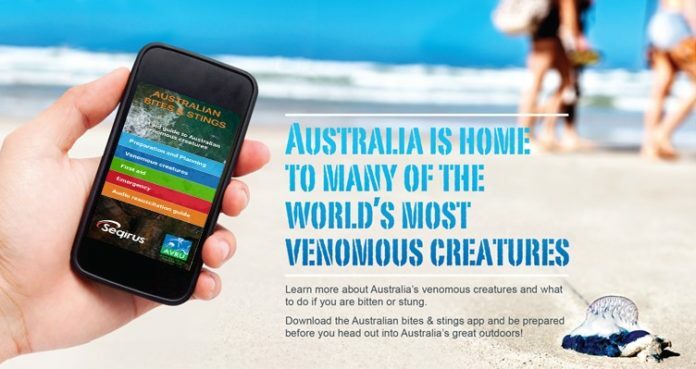 As part of Seqirus’s commitment to providing education to our community about the unique venomous creatures that may cross the paths of Australians, they have introduced a free smartphone app – Australian Bites & Stings: First Aid Guide to Australian Venomous Creatures – which hosts up-to-date first aid information. This unique app will be of use to anyone planning to be out in Australia’s great outdoors – whether it be on the beach, camping, bushwalking or just gardening in a back yard!